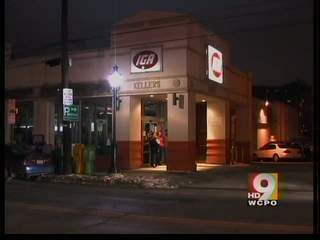 CINCINNATI - Weeks after the state of Ohio closed Keller's IGA in Clifton for non-payment of sales tax, former employees are saying they are enduring bounced paychecks and no unemployment benefits. "I couldn't collect unemployment," said Ashley Phillips, a single mother of three. "They said I didn't make enough per week to qualify," Phillips continued. 9 News spoke to three former employees who are scrambling to stay afloat after Keller's IGA in Clifton was closed by the state. "The people who got direct deposits did get their last check," said Jennifer Daugherty, a former cashier at Keller's. "The paper checks bounced," continued Daugherty. An after hours call to Keller's IGA on Wednesday did not get through to anyone for comment. However, on a piece of paper posted on the front door, the store's owners have asked that members of the community try to persuade the state to agree to come to some kind of deal with the store. With the end of January fast approaching Daugherty is also worried that she won't see a W-2 form that all of the employees will need to file tax returns. Daughtery says that Keller's has assured her that W-2's will be sent out.